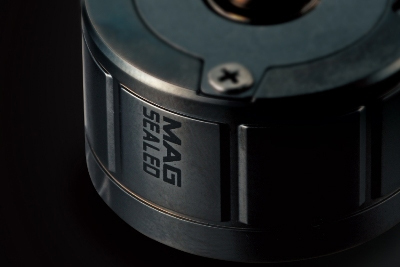 In 2010 the new Saltiga introduced unrivalled ground breaking technology… Magseal and Zaion Air Rotor. This year we are proud to introduce the new Saltiga 7000H Dogfight to the range. The Saltiga heralds a giant leap forward in design, revolving around magnetic fluid. Developed by NASA to magnetically deliver fuel to space ships, this revolutionary innovation has now been developed for Saltiga. 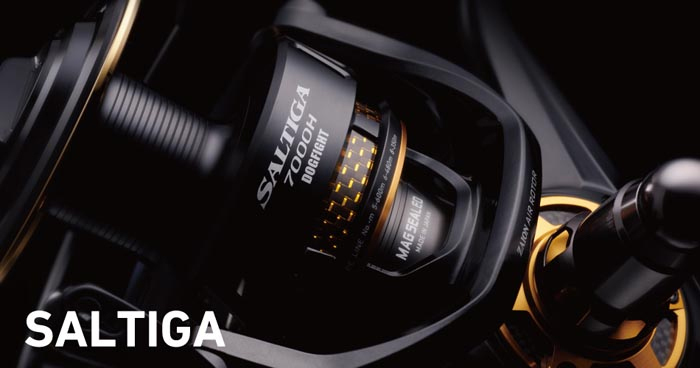 Mixing a liquid with iron isn’t easy, but Daiwa has mastered it in the Saltiga range. When dispersed evenly through liquid, the iron oxide (magnetite) has a diameter of 1/100,000mm, so small that the surface area of the ferromagnetic particle is around 1/10th of a single influenza virus. This new metallic grease/oil takes on a new effect, placed by itself it forms a typical liquid helical shape with the introduction of a magnetic force it changes shape similar to the android in Terminator II, attaching itself to any other metal to form a seal. So strong is this magnetic liquid that if placed in a container with a magnetic surface it would retain its shape even if the bottom was removed. Being magnetized this lubrication system avoids any friction and prevents dust intrusion, eliminating oil spray and significantly improving reel life expectancy. The challenge for Daiwa was to utilise the inherent benefits of magnetic liquid in reel design. Instead of it being used to dustproof, we needed something that was waterproof. Innovative design combined new CRBB bearings with a magnetic oil membrane and making it possible. Water intrusion is now a thing of the past. 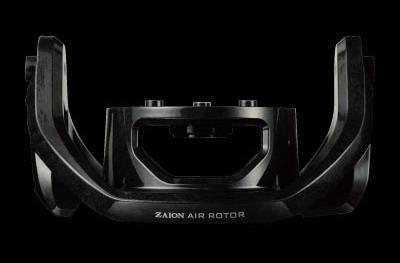 Not content just with Magseal, Saltiga also introduces Zaion Air Rotor. Zaion material was first seen in the Luvias series, this super strong light material is like no other – a new revolution in strength and sensitivity. This design disperses pressure to the entire lower section of the rotor, dramatically decreasing stress and flexing. Working in conjunction with the Mag Seal the Air Rotor has been hollowed out to create airflow through the whole rotor system. This prevents foreign material such as water, salt, sand and dust collecting inside the reel, the added air flow eliminates moist build up in the reel preventing corrosion issues. 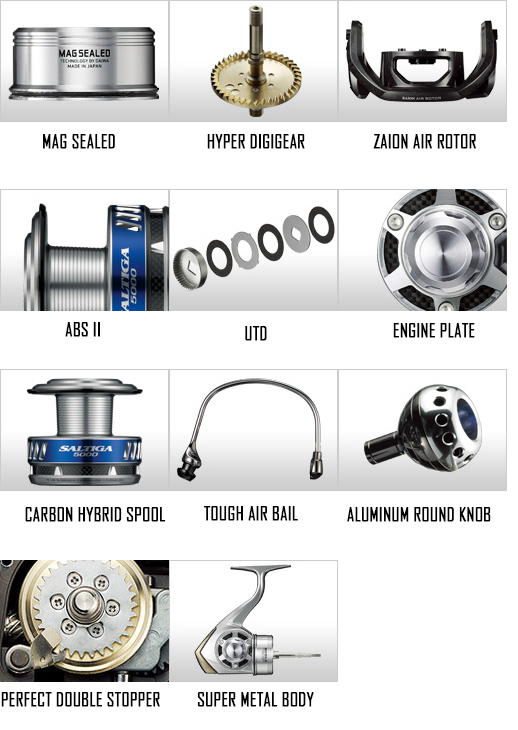 With other designs innovations like Real Four, Hyper Digigear, UTD, Airbail etc as standard the Saltiga sets the standard as the best heavy duty reel available.